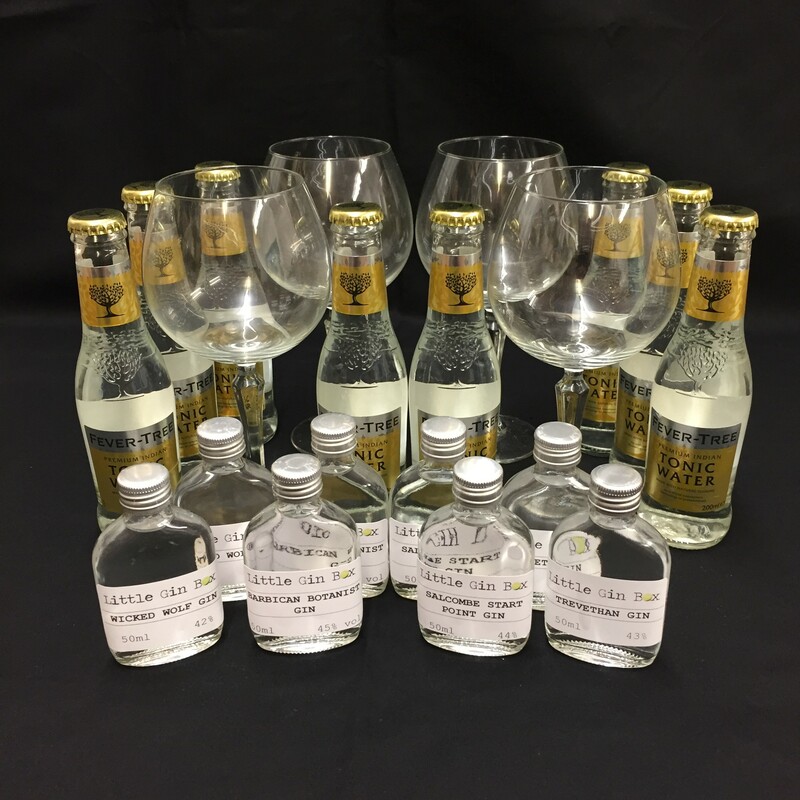 Have your very own Gin Tasting / Gin Festival experience in the comfort of your own home with our Gin Festival Box! We have 2 different box sizes, depending on how indulgent you want to be. All you need to supply is some Ice, the garnish (don't worry we'll advise what you need) and some good friends to share with. 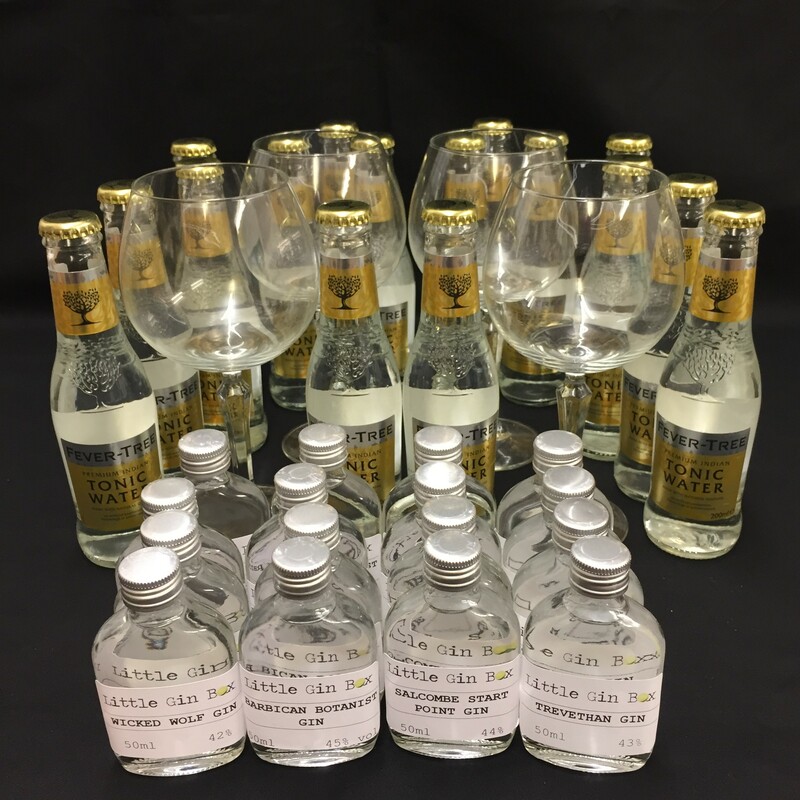 Choose a large box which contains - 16 x 50ml bottles (4 of each Gin, each containing 2 standard measures) plus 16 x 200ml bottles of Fever Tree Indian Tonic and 4 x Copa glasses. Note - Full bottle images are included for reference only and the full bottles are NOT included in the box. 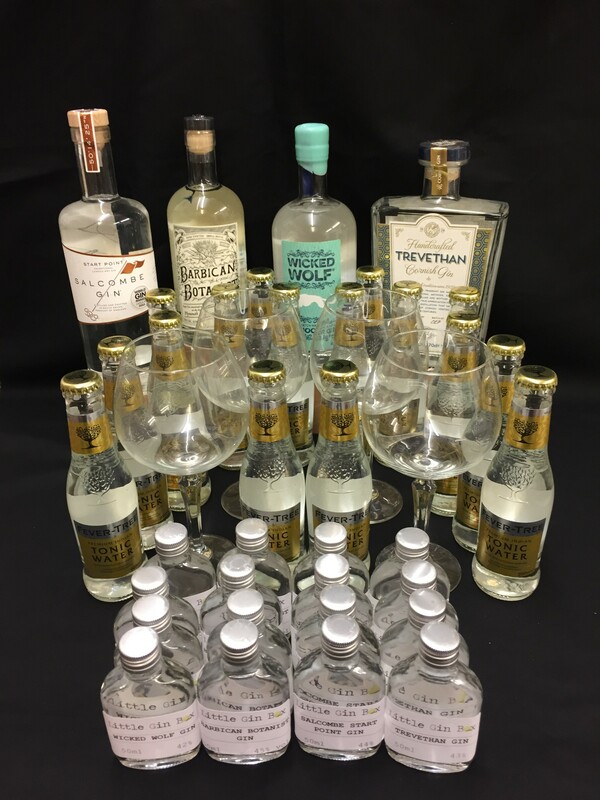 ** The £10 off discount code cannot be used to purchase Barbican Botanics Gin but can be used for all others.